"While investors widely expect Apple to report its usual barn-burner results this week, some creeping questions have weighed down the computer company's high-flying stock recently." The article continues on about the natural disasters in Japan and how they are preventing Apple from otherwise cranking out enough iPad 2 tablets to meet the demand for the popular item both here in the United States and abroad. "In addition, a growing number of indicators have pointed to a potential delay of the company's next iPhone to later in the year, instead of it's customary launch period of midsummer." Again, I don't have a problem with Mr. Gallagher reporting what was widely discussed over the last two weeks when Apple announced that their annual developer get together, the World Wide Developer's Conference, would be held on June 6. On the March 28 notice that was sent out by Apple, which simply said, "Join us for a preview of iOS and Mac OS X." In short, that was Apple's way of letting the legion of fans, geeks, investors, and yes, even journalists, that iPhone 5 would not be making a debut at this year's event. If Apple, a company known for it's legendary product secrecy, hasn't yet announced the iPhone 5, which we all know is coming because "5" comes after "4," how can it be considered delayed or even late? The white iPhone 4? That was delayed and is late. The iPhone 5? I have to disagree. If the rumors are true, will Apple be breaking from previous product launch cycles this year? Sure they are. There are some things that need to be considered, in addition to the problems in Japan. First of all, the black iPhone 4 just became available on Verizon not even three months ago. Do you really think that Apple and Verizon would ship iPhone 5 in less that six months of the iPhone 4 going live? I don't think so. Secondly, we still have the white iPhone 4 to deal with. 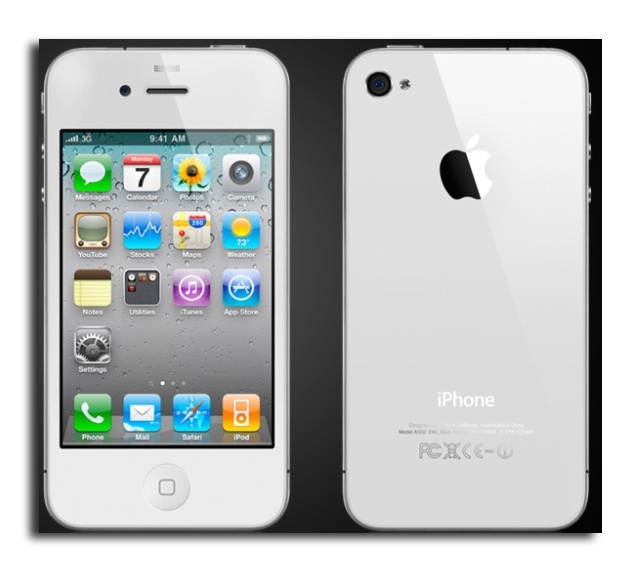 Yes, some people really have put off buying an iPhone 4 just so they can have a white iPhone 4. With the white iPhone 4 coming something during the next few weeks, do you really think that Apple would ramp up a massive stock pile of a phone that they were about to replace? I don't think so. Thirdly, there has been a lot of talk on the Internet over the past few weeks about Apple's plans for the next iPhone. Some of them talk about more memory, larger screens, and faster processors. These are all very likely true and will be in the next release of the iPhone. There is also talk about incorporating the new Long Term Evolution, or LTE, cellular radio in the next iPhone - making it a "4G" phone. (Marketing hype aside, "4G" networks are faster then today's 3G networks, but probably not fast as carriers want to you think.) Apple is also rumored to be working on a new way to use your iPhone as a short range wireless payment device using a technology called Near Field Communication, or NFC. If true, once you have activated the feature, you could wave your iPhone over a receiver an make a payment similar to they way you can with some credit and debit cards today. However, there is one other think to consider which could be the cause of the "delay;" and that is: software. Despite the pile of cash that Apple is sitting on, the company keeps it's competitive edge by remaining relatively small. That means that Apple shifts employees around certain development efforts as they need to, and there are two, if not three, major software rewrites in the works. The first is the next release of the software that runs all of the Macintosh desktop, tower, and notebooks, known as Mac OS X 10.7 Lion. Apple is working with software developers on pre-release versions of the software to help them iron out the bugs and to allow developers time to update their applications to work with the new Apple software. Next up, Apple is also working on the fifth version of the iPhone, iPad, and iPod touch software known as iOS. iOS 5 will be a major overhaul of the mobile device software, which, by the way, at it's core, uses the exact same software as Mac OS X, to ensure that Apple's handheld software remains feature rich and competitive with phones and tablets running the Google Android OS. If that wasn't enough, I'm sure Apple is also hard at work on a major revamp of their MobileMe software, which will use the new data center Apple has built in North Carolina and support new features in Mac OS X, iOS, and iTunes. So with all of that, it's more important for Apple to focus on the strategic scheduling of each of these major projects and being successful with their roll outs. It's not about holding to an annual schedule that we can all expect to happen each and every year. Apple is about their software and hardware coming together to create a unique customer experience that no other tech company can match. It's about delighting the customer. So, no, the iPhone 5 is not delayed. The announcement and release of the iPhone 5 this year has been scheduled behind other critical Apple engineering efforts. Ok? Everyone take a deep breath and exhale. It's going to be fine. You can read Mr. Gallagher's full article on The Daily website.